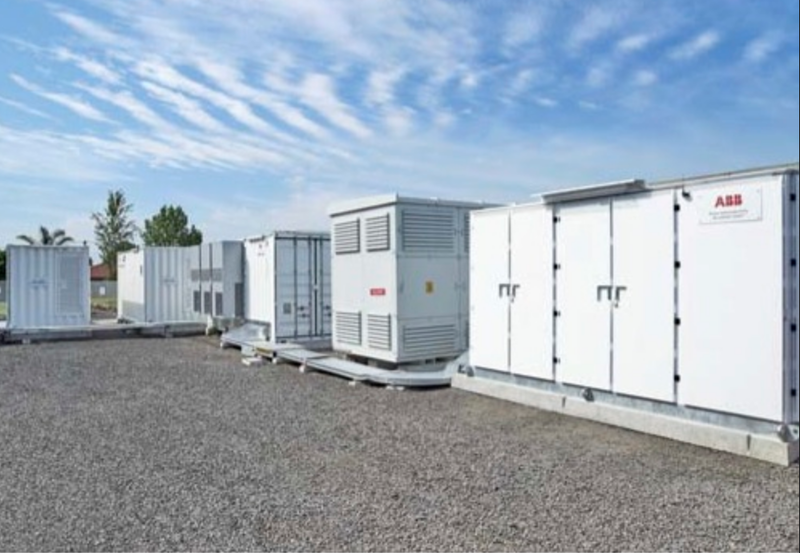 If all goes as it seems, extensive battery systems at data centers like that at Microsoft Corp. in southern Virginia in the US might eliminate the need for more power plants, especially those that rely on the “bridge” fuel natural gas. 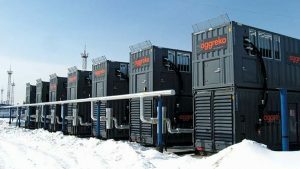 Unlike a natural gas peaker plant, which can take minutes to dispatch and often runs on idle in order to better meet short-term spikes in demand, battery systems can dispatch power instantaneously. That makes them potentially valuable resources to help smooth out sudden spikes or drops in power supplies. The GESS, located in Melbourne, Australia, is fully portable. Many technology corporations have been leading the business sector toward renewable energy options to offset their electricity consumption emissions. In the past few years, long-term contracts with wind and solar projects have been the answer for companies seeking alternative energy options. But many firms, no longer content with merely offsetting their emissions, are moving onto the challenge of directly powering their operations with the wind and sun. Enter battery systems. A team of Microsoft engineers conducted a series of tests to simulate the interaction between a data center and a grid operator. 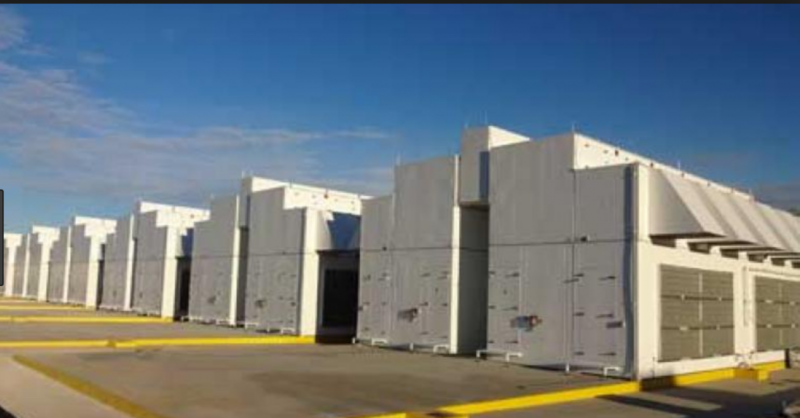 They wondered, Can extensive battery systems installed at data centers like this one be used to help grid operators smooth out the small spikes and drops in electric demand that occur throughout the day? Batteries are an appealing option for the power sector because of the flexibility they provide. Microsoft’s battery project in Boydton has tremendous implications for electric systems everywhere. If they succeed, power companies might not need to build new natural gas power plants. Directly powering data centers with the wind and sun becomes a real possibility. Microsoft engineers even talk about reimagining the way electricity is bought and sold. When renewable projects like battery systems can be installed in regions where it operates, they move the local electric supply away from dependence on fossil fuels. Demand associated with Microsoft’s Boydton facility grew by 24% last year, according to Dominion Energy Inc., the local utility. Dominion estimates that total data center demand in Virginia this year is growing at a rate of 18% compared with the previous year. The essential question for Microsoft is whether a data center’s batteries can still perform their backup function while also providing a service for the grid. “It’s about looking at all the backup resources that we’re already installing at data centers here and around the world and saying, ‘What could we do to make these underutilized assets more of a resource for the grid and specifically a resource that could help with renewable resource integration and balancing? '” Brandon Middaugh, a senior program manager for distributed energy at Microsoft, said. There are other tangible economic benefits for Microsoft. Researchers at the University of Washington studied a Microsoft data center to see whether its battery system could be used for dual purposes like data center backup and grid services. They concluded the company could cut its annual electric bill by nearly 11 percent by reducing energy use at times of peak demand and, at the same time, gain a new revenue stream by offering services to the grid. The work is also preliminary. The tests being done in Microsoft’s shipping container are part of a pilot project with Eaton Corp., a power management company, and PJM. The early returns are promising.